This is a guest post from the lovely guys at Social and Cocktail - you can read the rest of their guest posts here. The Lowdown: You know that feeling when you’re planning an evening out but have a nagging sense that maybe, just maybe, you should do something cultural rather than head straight to the pub? Well, now you don’t have to choose! 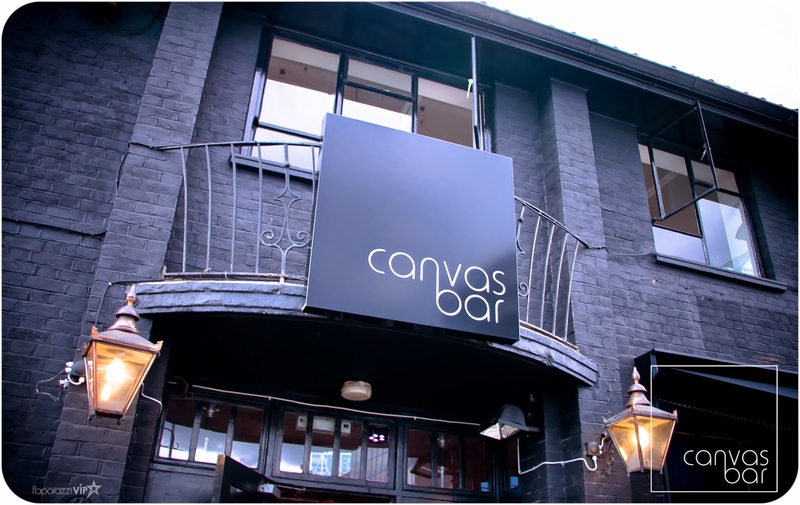 Canvas Bar celebrates art, fashion and a superb selection of inventive cocktails all under one roof. Where: A stone’s throw from Old Street Station, right on the main drag that leads into the East London action. You’re already in fashionable East London territory without even entering the building and, even better, you don’t have to descend into a basement bar, since it’s all street level. First Thing You Notice: The bright and eclectic art that’s dotted on the walls, from bold brush strokes to cute and colourful cartoons. And since there are new exhibitions every few months then you’ll never get art ennui. 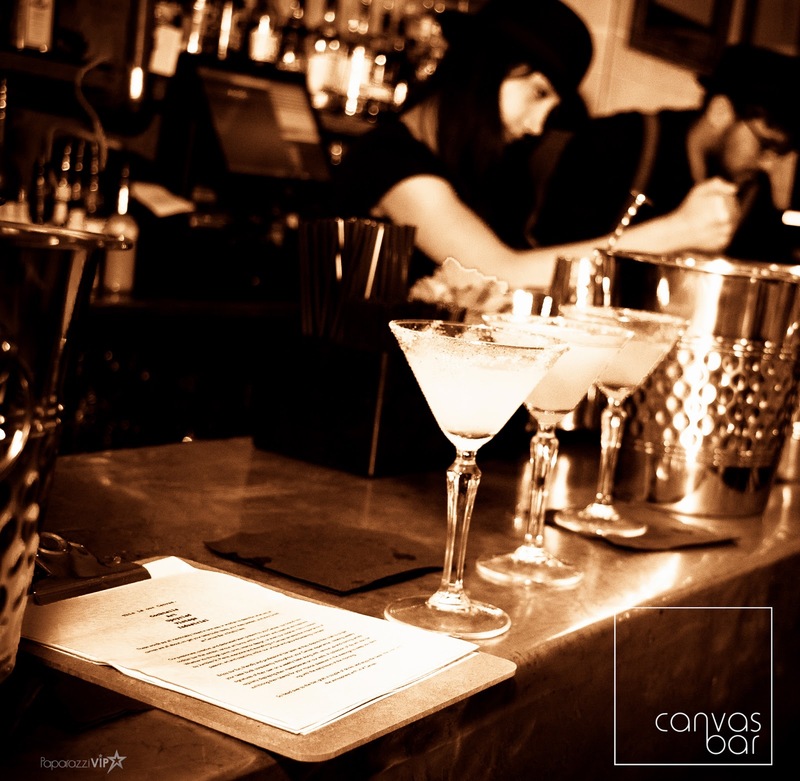 What You’ll Tell Your Friends: The cocktail list caters for just about everybody, and is divided into sections according to what your taste buds are craving. You can go for sharp, sweet, refreshing and brave. Also the staff wear the best uniforms we’ve seen in a while – prepare for bowler hat envy. Atmosphere: Chilled out, welcoming, and passionate about creativity. The exposed brick walls and shabby-chic vintage décor give blend nicely to create somewhere that’s relaxing yet sophisticated. Decor: Carefully sourced pieces and upcycled gems – from the vintage Italian tiles on the floor, fire extinguisher lamps to the bomb casings – yes, bombs – that make up the tables. 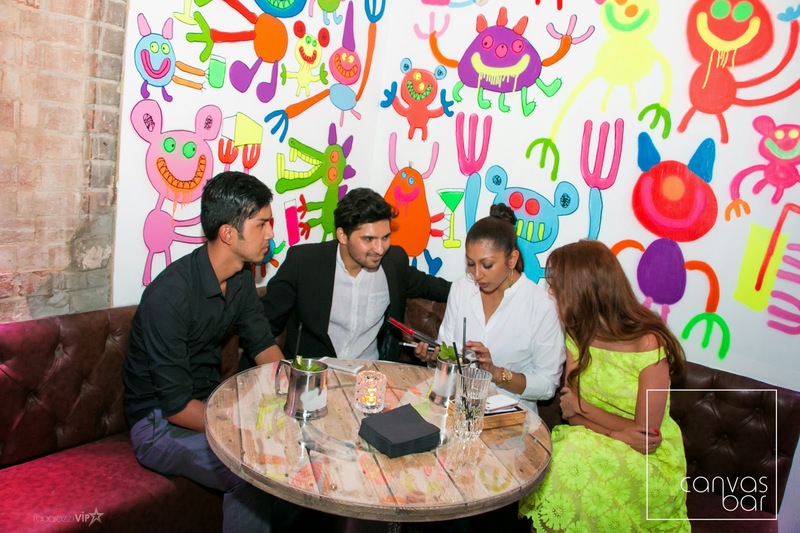 Creative Concept: Jumbles St Pierre, cocktail-whizz extraordinaire, has created a menu that has as much colour and vibrancy as an artist’s paint box. There are over 35 cocktails to choose from, and it’s a case of diligently making your way through each section. So You’re Thirsty: So difficult to choose a couple, but we can heartily recommend the Banana Cabana for sweet lovers and the Old Fashioned Gentleman for those that want an ‘upcycled’ twist on a great classic. It uses maple syrup for a divine smoky and rich flavor. Scrumptious. Hungry Too? Don’t you know that art feeds the soul? No need for nibbles with a cocktail list this engaging. Don’t leave without trying: The Canvas Fizz is a glamorous house favourite from the Bubble Up Section. Served in a champagne coupe, it combines the floral delicacy of Botanist Gin with melon, mint, elderflower and lime notes all topped off with Prosecco. Refreshing and rather ravishing.